Mr. and Mrs. Buyer are super excited about finally buying their dream home. They get an email from their Escrow Officer with wiring instructions and they wire their good faith deposit into escrow. A few days later they get a call from their agent asking why they haven’t sent their funds in. Oops! They are gone. No way to track them. This is a big one the title and escrow companies have been seeing a lot of lately. Their email is hacked and the routing numbers for funds are changed to an unknown account. While it may not be that much money to some people (3% of purchase price), it would prevent many people from buying homes. And what if it was their final down payment, rather than the good faith. 17% rather than 3%? Or if someone was paying all cash? Be sure to verify the wiring instructions directly with the escrow officer before sending money – every time! As a Realtor, I do the verifying for them and recommend they verify as well. You can’t be too careful with that much money! I don’t know if this is a scam, but it sure felt like one. I received a package from an escrow officer via Fed Ex. The package had been sliced open and taped closed (see picture). We called the escrow officer to see if she had sent it out that way. She confirmed it had been fully sealed and if they had opened it, they would have gotten another envelope. Fortunately there was nothing inside of value – no closing checks, no social security or bank account numbers, but there very easily could have been. 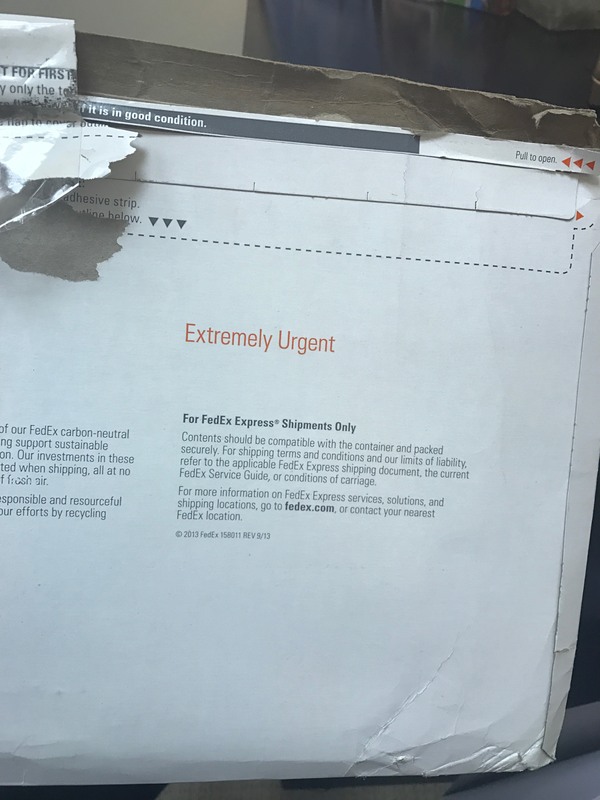 I called Fed Ex and was very disappointed with their response. They said I should file a claim for any loss. The package was given to Fed Ex and delivered by Fed Ex and never touched by anyone other than Fed Ex. I felt some investigation (or even just tell me you’re doing it – customer service!) was in order. Evidently they disagree. How would you even know what the loss would be if someone stole your identity? You receive an email that looks like it is official. I’ve gotten these. Sometimes they come from people you don’t know, sometimes from people you do know. They are trying to trick you into opening the attachments, but you are actually infecting your computer with malware or ransomware – which is as bad as the name feels! If you know it is bogus, delete it and empty your deleted items folder. If you aren’t sure, why not be safe and call or text the person who sent it to see if it was really from them. 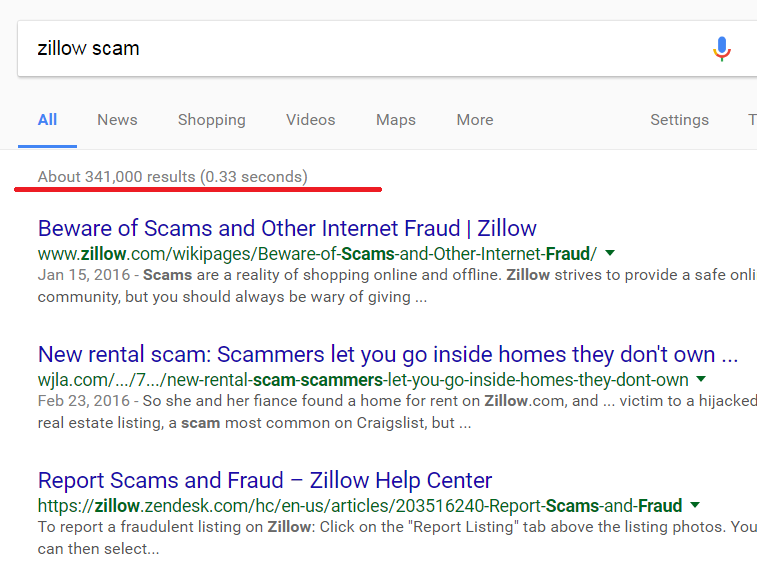 Not a single one that I have received was real – they were all scams! As a Realtor, I always let my clients know when I am sending documents for electronic signature and I write a note that lets them know it is really me. We are seeing boatloads of different things here. A home that is listed for sale will be posted on CraigsList for rent. People have actually shown up at doors saying they sent a deposit to the “owner” to rent the place when they actually sent it to the scammer. What do you do with the moving truck then? And scams where people send their deposit to buy a home to someone before they have even seen the home? Who does that?!! I love those ads that say you can rent a 4 bedroom, 3 bath house with a pool and ocean views for $450/month in the heart of SB! Right! The bottom line: people want what they don’t have, that you do have. The real estate industry is an easy target because of the high volume of money exchanged on a daily basis. Key thoughts: if something sounds too good to be true – it is NOT TRUE! Take the extra step or two to protect yourself – whether on the phone, email or in person. Check things out and I don’t mean call them back on the number they called you from. That doesn’t confirm anything! Google them, ask friends or your agent, whatever it takes to protect your assets and your sanity!